Electronic kitchen equipment can be pretty confusing. You probably have a blender on your counter, perhaps a food processor in your pantry and maybe even an immersion blender stuck in a cabinet somewhere. But do you really need all three? Since there is some overlap in what these electric products will do, it can be hard to know what is the best use for each. But we've taken the guesswork out of it for you! 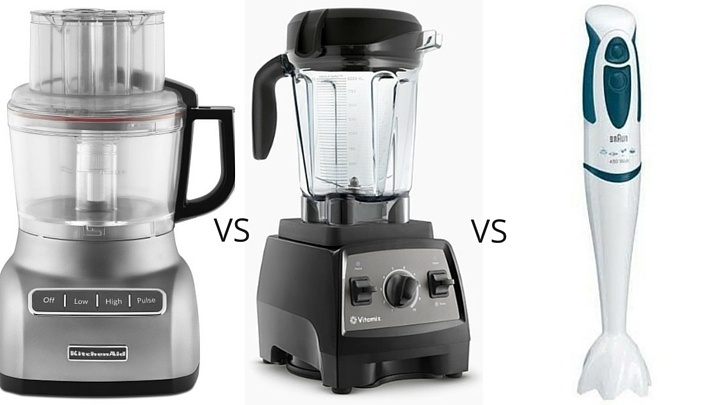 Our chefs have collaborated on a comparison of food processors, blenders and immersion blenders. We provide tips on how and the best way to use each tool, as well as recipes to illustrate these guidelines. We even weigh in on our favorite blender, the mighty Vitamix. But this isn't a sales pitch. In fact, we only carry one out of these three items at The Chopping Block. That's because a small business like ours isn't able to compete with big box store pricing in this category like we can with other products. But we can share our knowledge and experience with you! Just fill out the form to download our comparison of Food Processors, Blenders and Immersion Blenders.